I hope you had a relaxing and enjoyable holiday break. After much thought and consideration, I had decided not to spend my vacation this time around only in the busy metropolitan area in Japan but to also treat myself a relaxing hot spring vacation in Karuizawa, a resort town nested at the foot of the mountains near Nagano. Turns out it was a great decision. 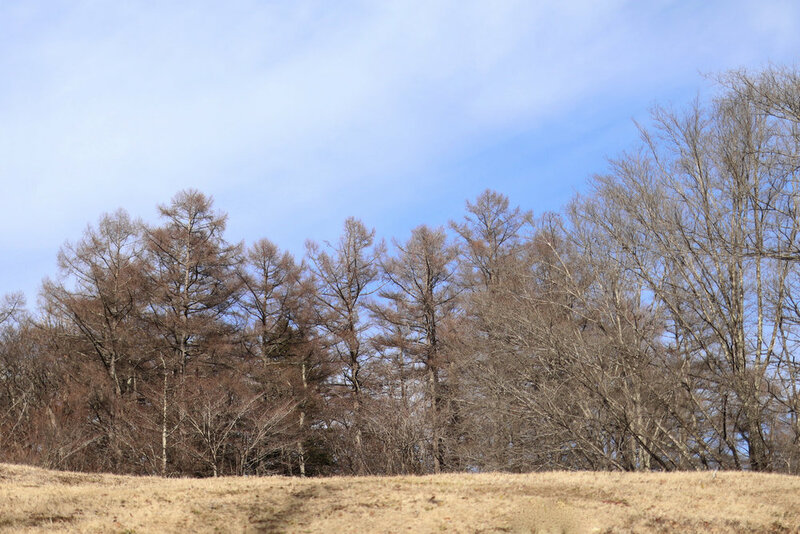 Karuizawa was amazing not just the natural Onsen and how everything integrated into the woods but also further offers museums, attractive parks, shops and restaurant for leisure and photos. I highly recommend those who often travel to Tokyo but don't mind squeeze one or two days out from their busy schedule to go for a visit if time allows. In the photos, I was wearing Loewe Spring 2017. Mr. Jon Anderson set the mood in this collection with full-on organic, down-to-earth and childlike simplicity which perfectly matched the atmosphere in Karunizawa. 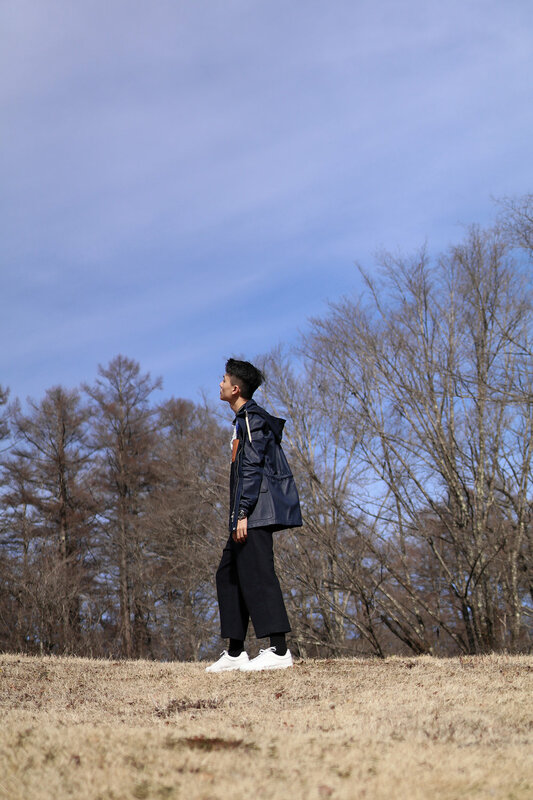 Some favorite items from this season including the navy blue light hiking jacket, crewneck patchwork stripes and indigo goya backpack, these blues make a beautiful sight with the blue sky and the woods.